Marc Sorrentino's attorney tells us Sitch's bro is laying blame on their accountant ... telling us the guy has disappeared and hinting he's talking to the feds. He also says the unnamed accountant's staff "knows every word that comes out of his mouth is a lie." Sounds like it's rolling downhill. The Situation was kept in the dark on his finances ... letting his brother handle all the cash that was pouring in -- at least that's part of the defense Sitch will use in his tax fraud case. Sources close to the ex "Jersey Shore" star tell us Marc Sorrentino took control of all of his bro's business dealings, including; negotiating deals, collecting cash, and filing paperwork ... including taxes. We're told the Situation is definitely guilty of not paying close enough attention to where his money was was going ... and fully trusting Marc. One source close to Sitch tells us Mike never discussed money with his accountants ... and hasn't seen anyone from the accounting firm other than the day he became a client. As we previously reported ... Mike and his brother were charged with tax fraud after allegedly cheating the IRS on over $8.9 million in income. 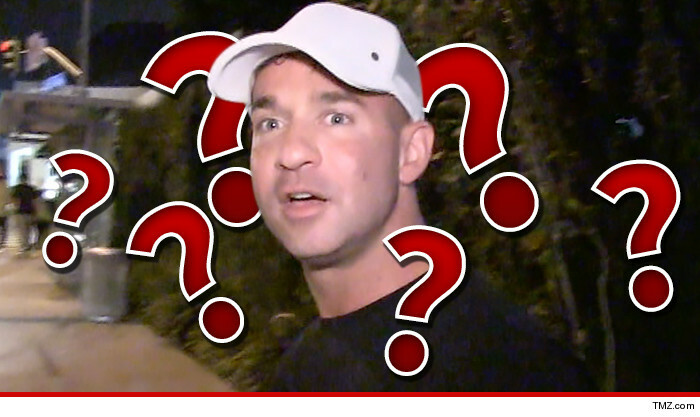 So, Sitch has a dilemma -- we're told he doesn't want to throw him to the IRS wolves ... but he's also not interested in going to prison for something he feels he didn't do.